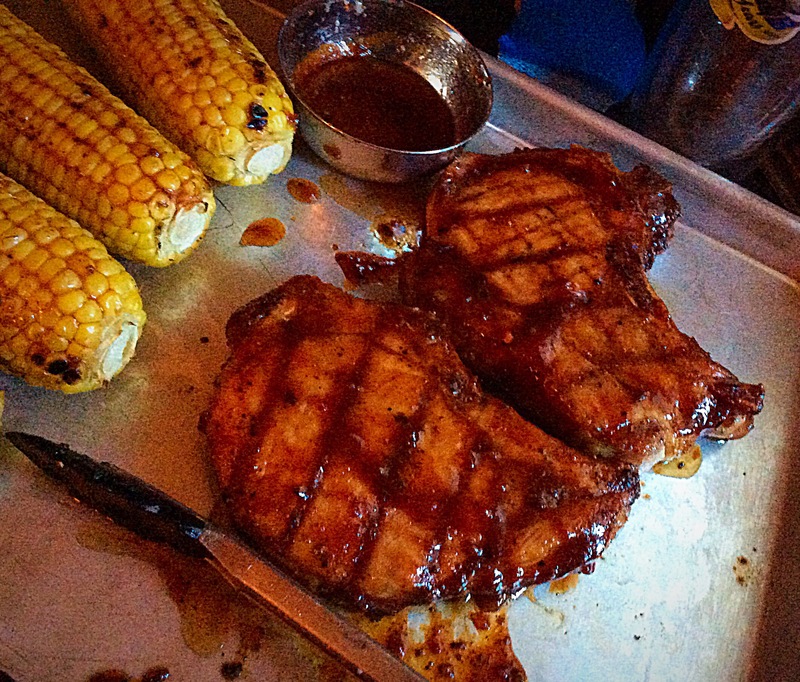 Fabulous pork chops from Rainbow Meadow Farms once again this time seasoned with fennel dust, white pepper Cajun seasoning and finished with Stonewall Maple Chipotle Sauce…Grilled for 7 minutes on each side or until they reach 135º, brush sauce over and cover with foil for 6-10 minutes. Serve with extra heated sauce. 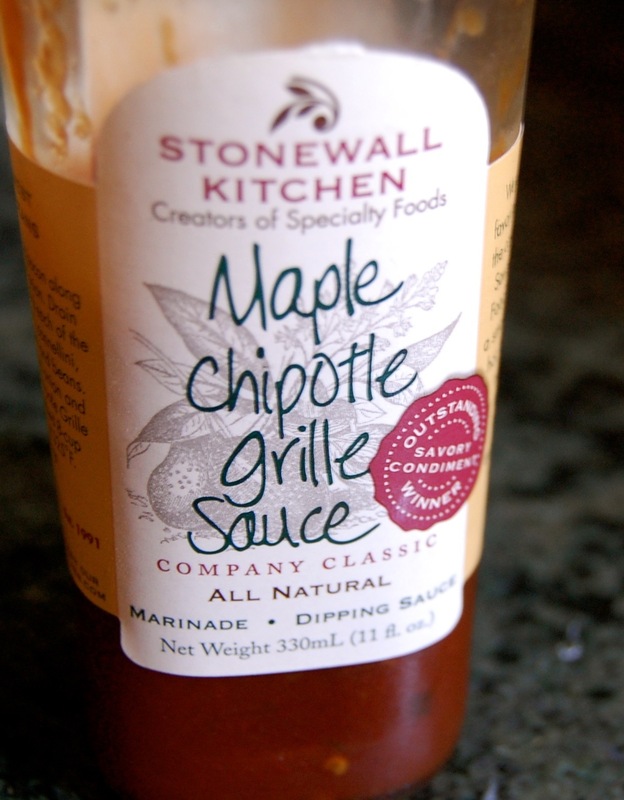 Oh so good grilled sweet corn, brushed with olive oil and seasoned with salt and pepper…the drizzled or brushed finish before serving, warmed 1/2 stick of butter, 1-2 tablespoons pure maple syrup, 1/4 teaspoon salt and a dollop of the chipotle maple sauce…delicious! Another night of one-handed prep and Michael grilling! 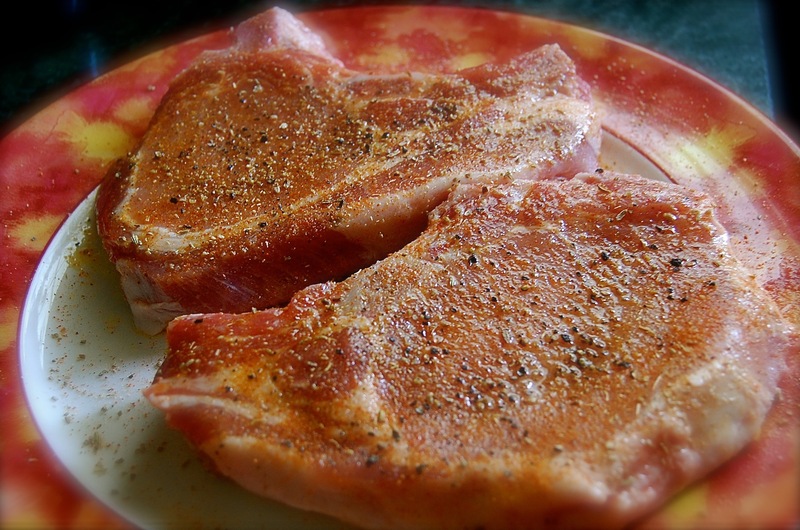 Posted on June 6, 2015 March 3, 2016 by ibbeachnanaPosted in Grilling, PorkTagged pork chops.